Tokyo SHOKURYO Dietitian Academy supports your "LIKE"! Japan is a country that you can enjoy various food from around the world. Would you like to learn nutritional science　for "delicious" and "healthy" meals in Japan, a country which has Washoku as world heritage? Would you like to learn "food" practically through lectures, experiments and practices and contribute to future world food culture? There are various diets, life styles and highly interest to health in modern society. "Specialist of food and health" is required in various fields such as food, medical care and beauty. "Want to see many peoples smiles through food," "Want to support them", such hearts are important. We will train specialists with hospitality to enrich people's diets and make them happy. ・You can get a lot of licenses! ・Enjoynable events and club activities! 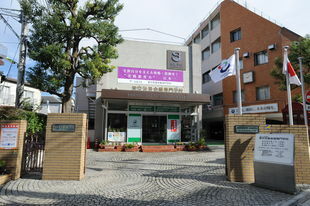 ・Wide variety of tuition support! We prepare the curriculum to learn knowledge that you can use in your work place immediately. Through calculation of food and nutritional composition, and menu preparations in lectures, experiments and practices, you can get correct knowledge of food. With a lot of experiments and practices, you can learn comprehensively and get practical knowledge and skills. Department of Nutritionist and Department of National Registered Dietitian are "Professional Post-secondary Course" approved by the Minister of Education, Culture, Sports, Science, and Technology.